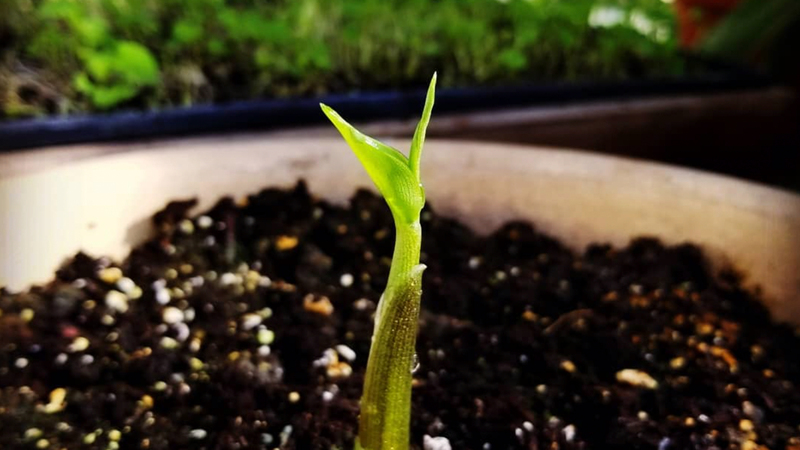 Zingibor officinal (Common Ginger) sprout. One of the activities in our greenhouse during the Winter season is plant propagation. Plant propagation is the process of growing new plants from a variety of sources: seeds, cuttings, and other plant parts. Many plants can be propagated from divisions, made by removing a section of the old plant. There often is not enough above ground material to create more than one new plant. Propagated division from section of plant. By using root cuttings or divisions of a mature plant (rather than an entire section of the mother plant), several plants can be propagated from one plant and will often flower the same season when propagated early enough.The process of propagating plants in this way is called asexual propagation and creates a plant identical to the parent plant. Plants propagated from seed (sexually propagated) may or may not produce a plant identical to the parent plant because it may have been cross pollinated with another plant of the same species if one was nearby. In those cases, the seed will (likely) grow into a hybrid of the two parents, with characteristics of both. 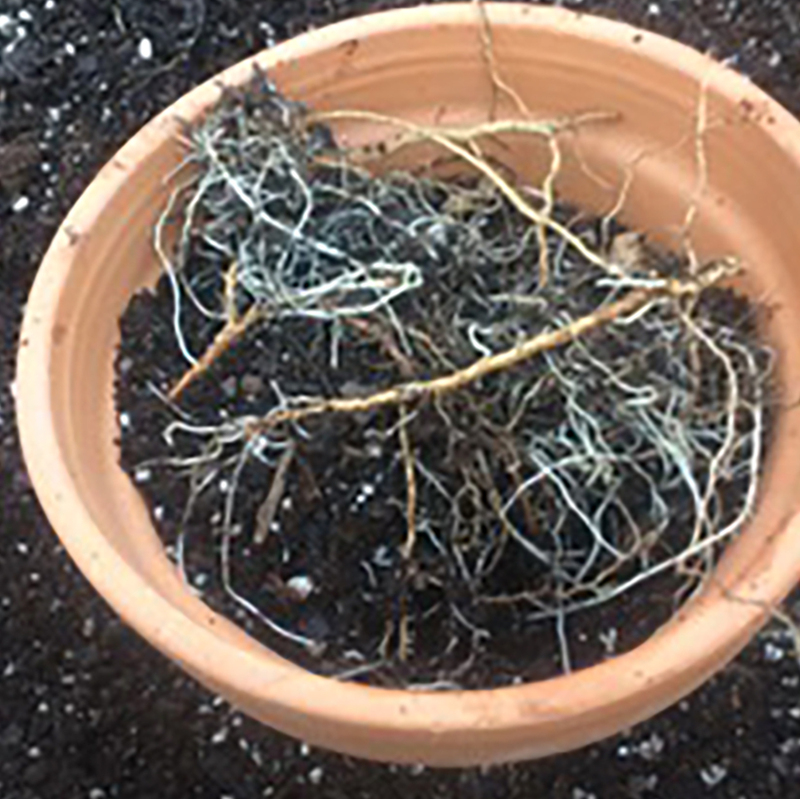 Plants that can be rooted from root cuttings or divisions generally have a suckering habit, but not always. 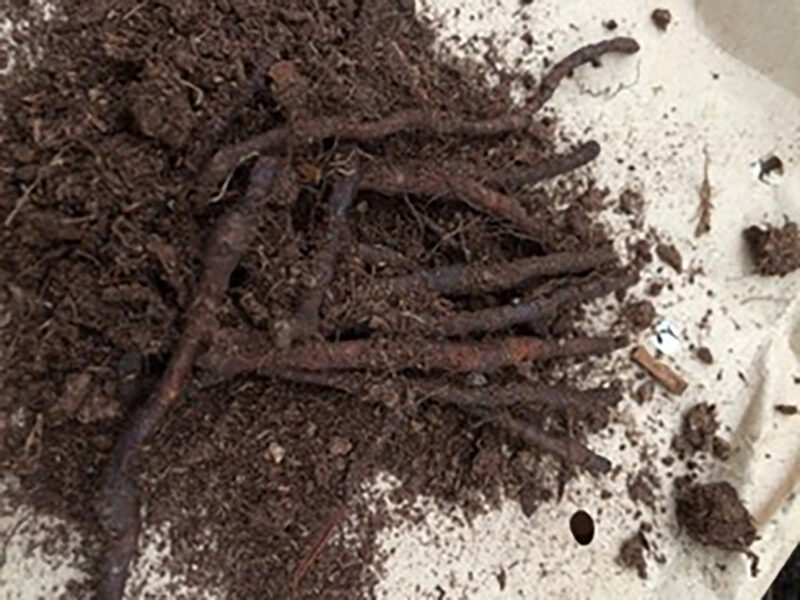 I have rooted many types of trees, shrubs and perennials from root cuttings. Remember, plants that are grafted (most Roses, some Lilacs and most fruit trees) will not reproduce the upper portion, since that is called the scion and is completely different than the rootstock. The photos above show a temperate Salvia spp., which we use as an annual. It is technically a perennial but will not survive our winters, so we save a stock plant in the greenhouse. We will also often take cuttings in late summer so we do not have to uproot the entire plant during the Fall season. 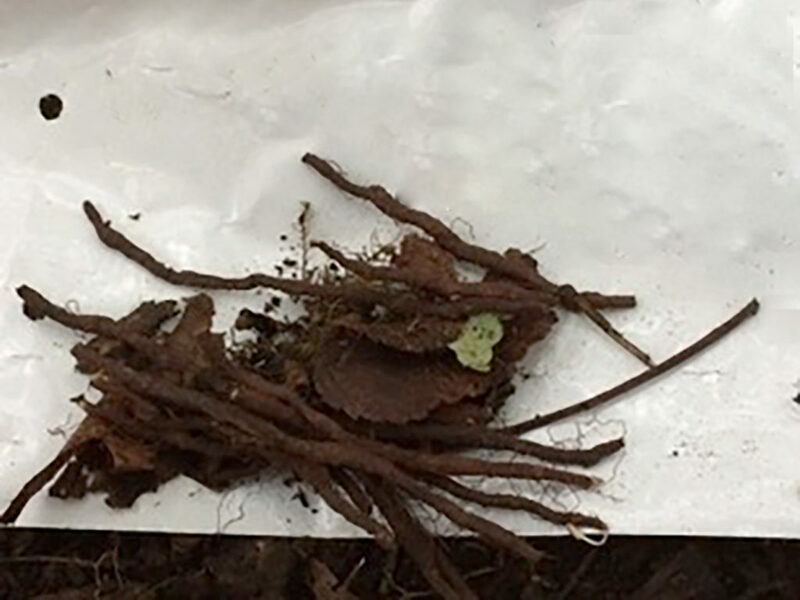 The photos of the dried rhizomes of Anemone were taken prior to planting. 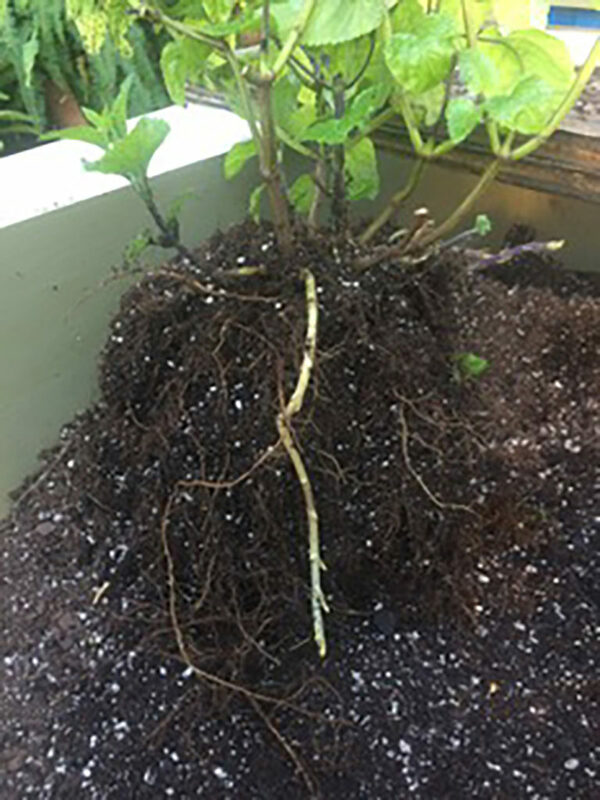 However, many rhizomatous (underground swollen root organs) and tuberous rooted plants can have some roots removed each year in late Winter without injuring the parent plant. This is a wonderful method for increasing numbers of many native wildflowers like Sanguinaria (Bloodroot) and Trillium. When the plants begin popping up, simply dig up the clump, remove some underground portions, replace and replant all. If the mother clump is large enough, some of the tops can be moved as well.